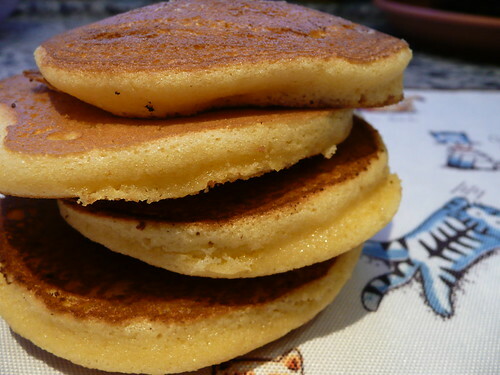 Doraemon (小叮当) fans would be able to easily recognise this stack of Japanese pancakes at first glimpse! For those who still haven't got a clue, it's the favourite teatime snack for Doraemon. Traditional dorayaki consist of a layer of anko filling (sweet azuki beans - a kind of red bean paste) sandwiched between two light and fluffy pancakes. (+) A light, butterless pancake that is done in half an hour! Do you mean if this article has copyrights?